Updated Tuesday September 18, 2018 by Lovejoy Leopards Lacrosse. 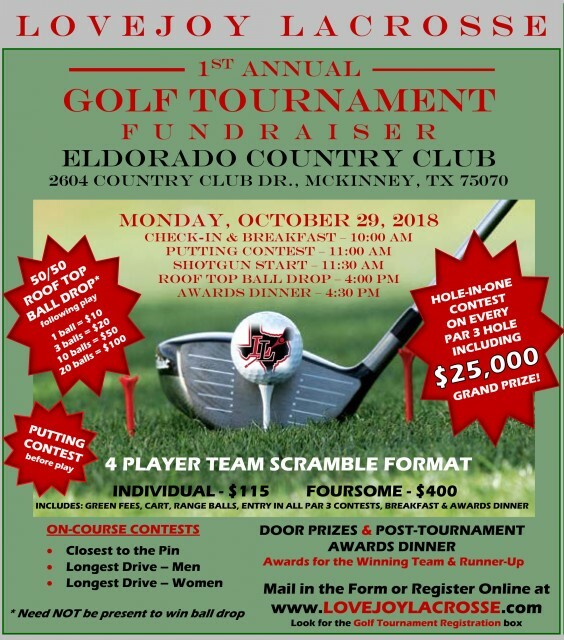 Lovejoy Lacrosse will be hosting its 1st annual golf tournament fundraiser on Monday, October 29, 2018, at Eldorado Country Club, located at 2604 Country Club Dr., McKinney, Texas 75070. 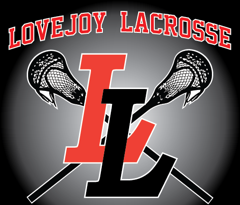 Lovejoy Lacrosse is a 501(c)(3) non-profit charitable organization so 100% of the proceeds raised from the tournament will be put back directly into our program. The golf tournament will be a 4 player team scramble format. Entry fees are $115 for individual players and $400 for a foursome entry. Entry includes golf cart, green fees, range balls, breakfast, awards dinner, and entry into all on-course contests (including all par 3 hole-in-one contests with a chance to a $25,000 grade prize). Awards will be awarded to the winning team and the runner-up. We have lots of fun and good food and door prizes planned for this event. There will also be great on-course contests, including a putting contest, a men’s and women’s longest drive contest, closest to the pin contest, and a hole-in-one contest on every par 3 hole on the course. Plus, don’t miss out on the roof top ball drop and witness hundreds of balls fly off the roof with the winner receiving a cash prize. If you would like to sponsor a hole at the tournament, we have some great sponsorship opportunities. The same registration form can be used for those that would like to help sponsor a hole. For questions or more information, please email lovejoyleopardlacrosse@gmail.com or contact David Diaz at (972) 978-3888.